Some of NEC Mobile Phone User Manuals PDF are above the page. NEC Mobile Communications Co., Ltd. has been engaged in planning, development, production and maintenance of mobile communication terminals and content management for mobile phones, etc. as a company of the NEC Group, It was once a consolidated subsidiary of NEC and was also an equity method affiliate of Casio Computer (Manuals PDF page). There are many things called simply "NEC mobile", sometimes also called "N mobiles". In March 2016, the mobile phone business was again transferred to NEC body and dissolved. "NEC Casio Mobile Communications", a joint venture between NEC, Casio Computer Co., Ltd. and Hitachi, Ltd., as NEC's mobile phone terminal business and Casio Hitachi Mobile Communications (CHMC) Was established as a wholly owned subsidiary of NEC. Initially it was planned to consolidate by absorbing and dividing NEC's mobile terminal business headquarters on April 1, 2010, but by absorbing and merging CHMC, as a result of the overseas antitrust review related delays being delayed in 2010 It will be postponed to May 1st on February 26th (only business division from NEC will be conducted), will be postponed again to June 1st on April 20th, and will merge with CHMC on June 1st completed integration. 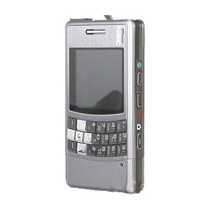 Although Hitachi (PDF Manuals page) was also a major shareholder from the integration history above, Hitachi brand mobile phone handset was not released after business integration. However, the model which carries out the operation check of the network function "smart brought out" and "smartphone playback" of the television Wooo made by Hitachi Consumer Electronics is the MEDIAS series after N-04D, and collaboration between Hitachi and Hitachi is planned for a while It was. Trere're NEC Cellular Phone User Manuals PDF above page. Also, with the flow from CHMC, we also operated Toys Factory's mobile site. Actually Toys Factory's mobile site footer was " TOY'S FACTORY Inc. Powered by NEC CASIO Mobile Communications, Ltd.". In addition to the slump in overseas markets, when it comes to smart phone era even in Japan, response to smartphones is delayed and product development can not be attractive, Apple (iPhone), Samsung Electronics (GALAXY series) (Manuals PDF pages) etc. overseas As the share of the manufacturer expands and the deficit continues, we will consider consolidating the mobile phone business with Lenovo (PDF Manuals page), after all it will eventually abandon, discontinue the development of smartphones in July 2013 and sell only by the inventory I finished. However, Lenovo has sold 3,800 core mobile phone related patents. In addition, maintenance work such as repair of smartphone, and development, manufacture and sale of feature phone (conventional type mobile phone) are continuing. Furthermore, in December 2013, it was announced that NEC will purchase all the shares owned by Casio and Hitachi and returned to NEC's wholly owned subsidiary. As it became a wholly owned subsidiary of NEC, as of October 1, 2014, it was renamed NEC Mobile Communications, and "Casio" disappeared from the company name. In the product introduction of the company's website, clicking the terminal image came to move to the product information site by each company brand. On December 25, 2015, announced that it will transfer its mobile phone handset business to its parent company NEC on March 1, 2016. In line with the progressive reduction of the project until now, it has been explained that it was decided based on the fact that it was "inefficient business scale to operate as an independent company". On February 29, 2016, NEC announced that it will dissolve NEC Mobile Communications on March 24, the same year and abandon the company's obligation of ¥ 101.2 billion.